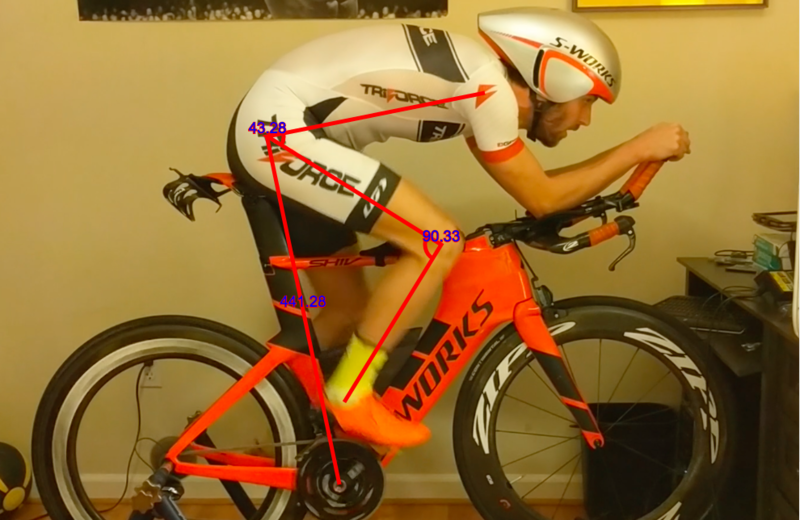 The benefits of short cranks, particularly for triathletes, have been debated at length. Studies show that crank length may affect maximal power output and oxygen uptake, though efficiency may be more related to pedal speed (i.e. 2π * crank length / cadence). Thus, if you move to shorter cranks and keep your cadence and power constant, the decreased pedal speed is in theory more efficient. However, it’s likely that your cadence will naturally increase when you move to shorter cranks, in which case pedal speed and efficiency will remain constant. Keep in mind that moving to shorter cranks with the same chainrings will increase your effective gearing since you have reduced mechanical advantage. In other words, because your lever is shorter, it’s harder to push. 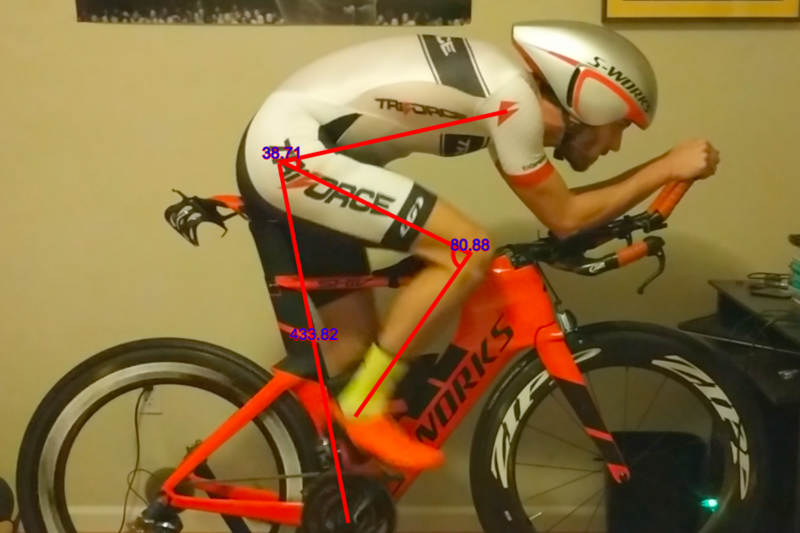 For triathletes, the main purported advantage is opening the hip and knee angles at the top of the pedal stroke. 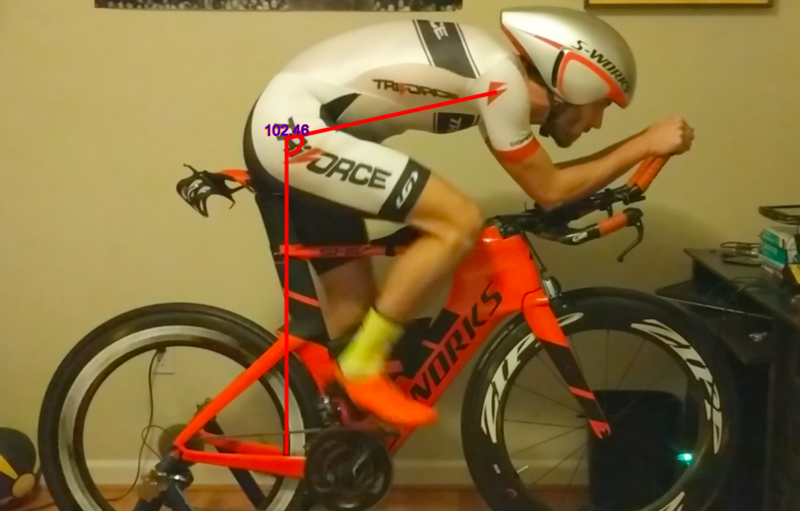 Because of the aerodynamic tuck, the hip can be pinched right as you’re moving from 1 o’clock to 3 o’clock in the pedal stroke. When you move to shorter cranks, you raise your saddle proportionally to keep constant the distance from hip to bottom of pedal stroke. In the below, I changed from 172.5 mm cranks to 155 mm cranks and moved the saddle up approximately 17.5 mm. Note that the hip and knee angles are increased considerably at this 2 o’clock position (as they also are at the 12 o’clock). 172.5 mm cranks, higher back angle. 155 mm cranks, lower back angle. It also affords the opportunity to lower the front end even more, though as you do so you will be reducing hip and knee angle once again. Ultimately, as with everything related to fit, the way it feels should have veto power over everything else. 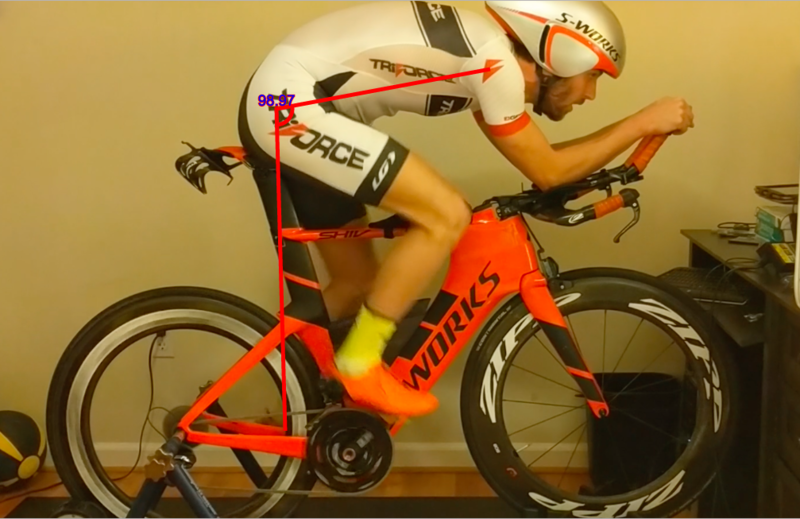 If you try shorter cranks and find new problems with your hips, knees, glutes, hamstrings (even after adjusting saddle height) lasting longer than a short adjustment period, then revert back! Even if you’re using crank-based power, it should be relatively cheap to try out different crank lengths, particularly with power2max and Rotor 3D+. The cranks themselves are fairly cheap and have high resell value or can be returned. And, it goes without saying, but the time to experiment with crank lengths is during the offseason so you have time to get used to them before racing!